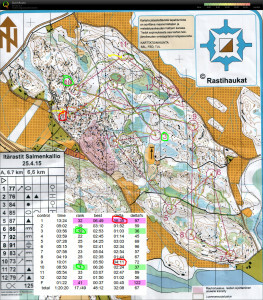 Quite tentatively towards #1, catching the big cliff (yellow arrow) more by luck than skill and from there the control. On #6 and #7 I tried to avoid the slow green areas but in hindsight my route is too zigzaggy. #9 ran out of steam a bit. 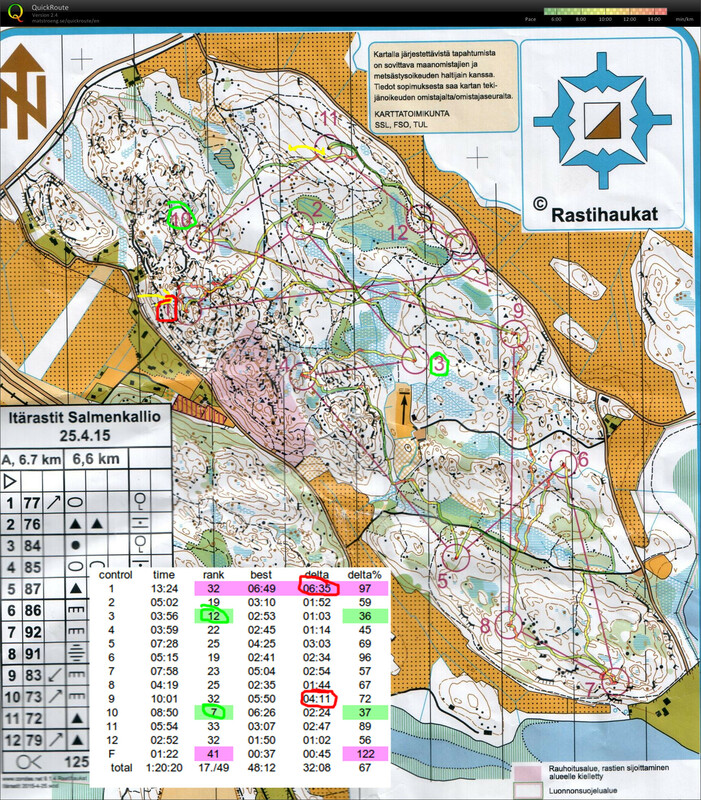 #10 is the best split as I crossed the big path as planned and found the control via the big stone and swamp. #11 is an identification mistake where I mistook a stone lower down for a one upper on the hillside (yellow arrow), resulting in a loop back to the control.